"Love for a person, and also to the Lord, is not proven with words, but with deeds." "Being a Christian does not mean primarily belonging to a certain culture or adhering to a certain doctrine, but rather binding one’s own life, in all its aspects, to the person of Jesus and, through him, to the Father". Vatican City (AsiaNews) - Being Christians, keeping the commandments "it is to be understood in an existential sense, so that one’s entire life is involved. In fact, being a Christian does not mean primarily belonging to a certain culture or adhering to a certain doctrine, but rather binding one’s own life, in all its aspects, to the person of Jesus and, through him, to the Father”, this is why Jesus promised the' outpouring of the Holy Spirit, as the Pope recalled the day of Pentecost, before the recitation of the Regina Caeli. 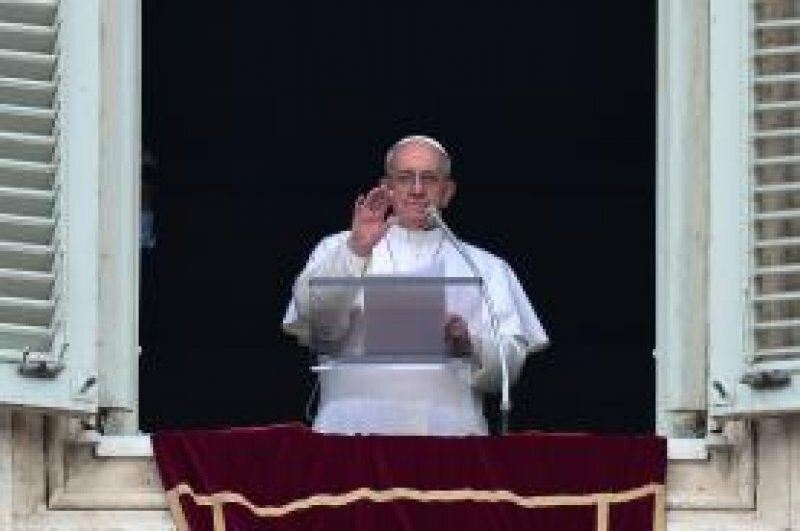 This was what was highlighted by the Pope to the 50 thousand people present in St Peter's Square, "the liturgy invites us to open our minds and our hearts to the gift of the Holy Spirit, whom Jesus promised several times to his disciples, the first and principal gift that He won for us with His resurrection. This gift, Jesus himself prayed to the Father, as shown in today's Gospel, which takes place at the Last Supper. Jesus tells his disciples: "“If you love me, keep my commandments. And I will ask the Father, and He will give you another Paraclete to be with you always.” These words, the Pope said, “remind us above all that love for a person, and also for the Lord, is shown not with words but with facts.” The command to keep and observe the commandments must likewise be understood in such a way that they affect our whole life. In fact, the Pope said, “being Christians does not primarily mean pertaining to a certain culture or adhering to a certain doctrine, but rather, joining one’s very life, in every aspect, to the person of Jesus, and, through Him, to the Father.” It is precisely for this reason that Jesus promises to send the Holy Spirit: it is through the gift of the Spirit, “the love which unites the Father and the Son, and proceeds from them,” that we are able to live the very life of Jesus." "Thanks to the Holy Spirit, Love that unites the Father and the Son and proceeds from them, we can all live the same life of Jesus. The Spirit, in fact, teaches us all things, that the only thing necessary: ​​to love as God loves . in promising the Holy Spirit, Jesus calls him "another Paraclete" (v. 16), which means Comforter, Advocate, Intercessor, that is, one who assists us, protects us, is on our side on the journey of life and in the struggle for good and against evil. Jesus says "another Paraclete" because the first is he, he himself, who was made flesh precisely to take upon himself our human condition and free it from the slavery of sin. In addition, the Holy Spirit exercises a function of teaching and memory. Learning and memory. There told Jesus: "The Counselor, the Holy Spirit, whom the Father will send in my name, he will teach you everything and remind you of all that I have said to you" (v. 26). The Holy Spirit does not bring a different teaching, hat the Holy Spirit does not bring a teaching different from that of Jesus, but helps make Jesus’ teaching present and active in our lives, so that the passage of time it is neither not erased nor faded”. "The Holy Spirit grafts this teaching in our heart, it helps us to internalize it, making it part of us, flesh of our flesh. At the same time, it prepares our hearts to be able to receive the words and examples of the Lord. Every time that the word of Jesus is greeted with joy in our hearts, this is the work of the Holy Spirit ". After the Marian prayer, finally, Francis said that "today, very appropriate in the context of Pentecost, I release my Message for the World Mission Day, which is celebrated every year on the third Sunday in October. May the Holy Spirit give strength to all the missionaries ad gentes and support the mission of the Church throughout the world ".